I have always had a thing for the sea. As a child on holiday, or day trips to the seaside, I would swim out into the ocean with my Dad and brother, loving the feeling of being out of my depth, and that there was an underwater world below me. Id immerse myself under the surface, knowing the salty water would sting my eyes, but opening them anyway. Desperate to get a glimpse of what lies beneath. I suppose it was always in my destiny to travel to and dive the biggest and most magnificent reef in the world, The Great Barrier Reef. I thought I would share this little memory with you. When Nik and I were on our nomadic, wandering the world backpacking travels, we were lucky enough to experience a couple of reefs, but Australia’s jewell in the crown was our ultimate goal. 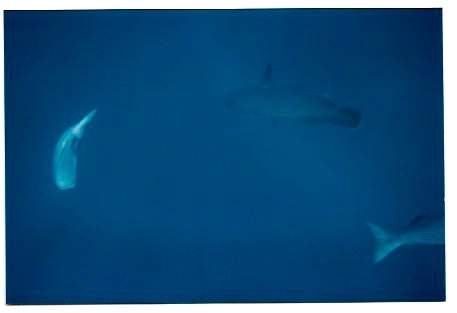 Nik longed to dive it and see sharks, I just longed to be under the water and experience all the colours and wonderment. Experiencing the reef 20 years ago as we did, had it’s massive plusses, but also a huge minus! Underwater cameras were no where near the quality they are today. If I had owned this amazing waterproof camera from Panasonic that I have my eye on, and not the disposable point and shoot that we used, I would have captured that underwater world perfectly. I would have been able to have vivid prints showcased on my wall in my home, and not the grainy, dull prints that is all we have sitting in our photo albumn. If only technology was then what it is now! Ohhh I wish we’d had a good camera! The Great Barrier Reef, off of the coast of Queensland in Australia, is actually the largest living thing on Earth. It is even visable from space. How amazing is that! It has over 900 islands within it, and stretches over 2900 km. Its crazy to think something could be that large isn’t it. You can imagine the huge amount of sea loving inhabitants that the reef has, and we were lucky enough to encounter some of our favourites. Our dive started out from the Whitsunday island, which, I have to say, is pure paradise. Fine, white sands, ocean as far as the eye can see, and deserted. It is genuinely one of my favourite places I have ever visited. We travelled out by a small fishing boat, and did some snorkelling to start. The water was so crystal clear that even snorkelling revealed a taste of the reef. As soon as your face went into the water, the colours hit you. Fish of all shapes and sizes, some meandering casually, some darting around like fire flies. The pinks, blues, oranges of the coral, their branches swaying with the ebb and flow of the current of the water, almost beckoning and encouraging you down to explore further. It truly was an underwater kingdom. Dive gear on, we fell backwards off the boat to start our descent. We were on a guided dive as the reef is very protected, even back then. You also have things like fire coral that can give you a nasty sting, as well as fish that might like a nibble! 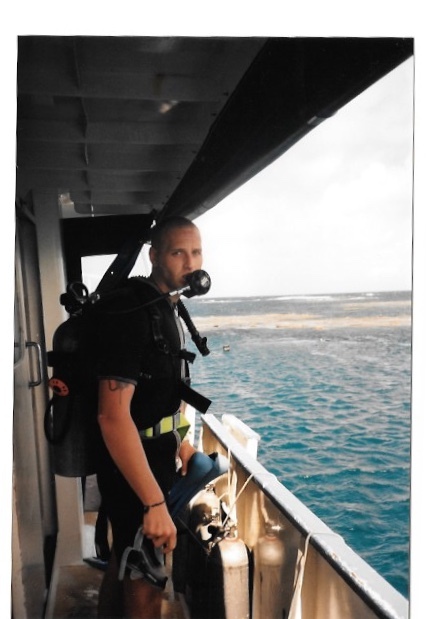 We were not experienced enough divers to know all the hazards to avoid, so it was the best option for us. It was also great as you could go at your own capabilities. A couple of guides were with us, so anyone not as confident could stay in shallower depths. I would fully recommend guided dives if you dont have many dives under your belt. Its the safest way, but also gives you the best experience as the guides know exactly what they are looking at and can point things out. It wasnt long into our dive Nik got his wish. A small group of reef sharks, with their black tipped fins, came through the reef. The unmistakabe side to side, weaving swim of a shark, and its pointed, very visable dorsal fin is intimidating, even if it is only a 2m reef shark. They have almost an arrogance about them. Their slow, casual swim through the reefs pathways was assured and steady. I was fasinated and nervous in equal measure. 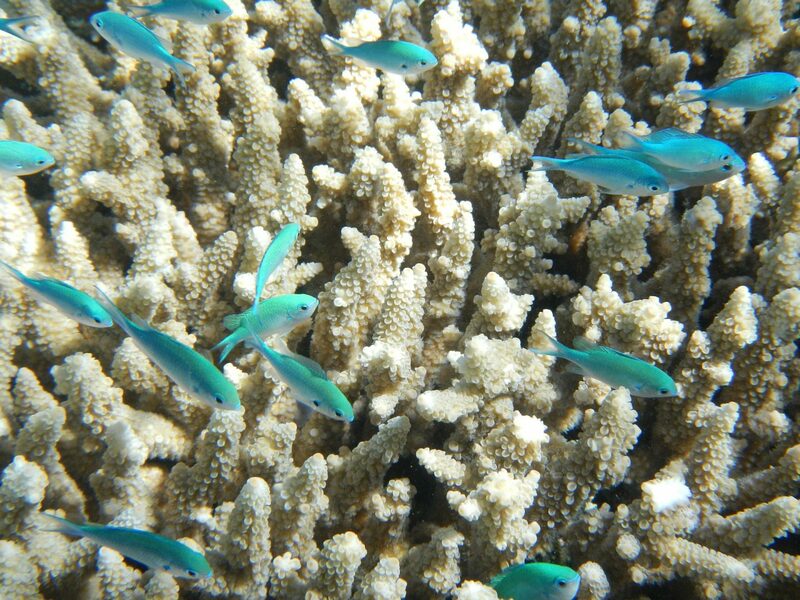 They were not even curious about us though, and just made their way slowly through the coral. We were within 10 feet of these beautiful sharks, and it was magical. Nik and I looked at each other and he was doing the divers “thumbs up” sign, albeit very excitedly as he had wanted to be in the ocean with sharks for so long! It was an amazing moment. I feel we were incredibly lucky to experience what we did. I know now days it is much more restricted to dive the reef, due to careless and “trophy taking” people damaging the reef. We saw the sharks, which was amazing, but we also saw turtles (my favourites), an abundance of brightly coloured fish and the technicolour world that they live in. I was even given a little kiss on my dive mask by a clown fish! Ok, it may have been trying to eat me, but Im going with my happy memory of it accepting me as an underwater visitor, and giving me a little kiss of greeting! I hope you enjoyed this little memory I’v shared. I would love to do more dives, and it has been a while since our last one! A ship wreck dive really appeals to me. Id love to explore a ship in its watery grave, I think that would be an experience for sure! 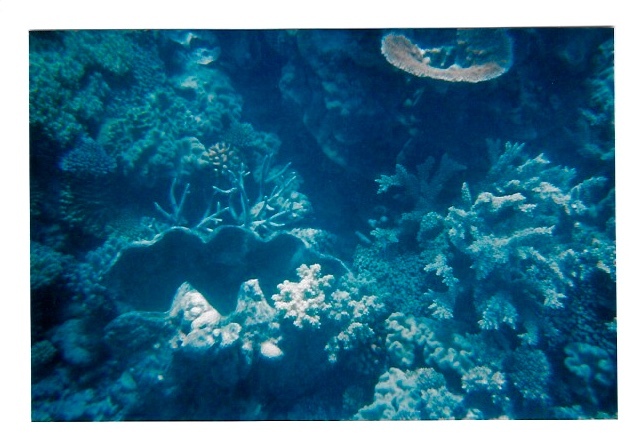 We have dived in the Maldives, which was also amazing and I would love to dive there again. I would make sure I have a decent camera with me! Still, next time……. "Where to Stay, Eat & Drink On A Mini Break in Bath"
"Things to do and see in Bath"